To put McKeon's baseball life in perspective, kids could still buy Bowman's 1948 debut set in candy stores when Jack played his first pro season for the class D Pirates of Greenville, Alabama. 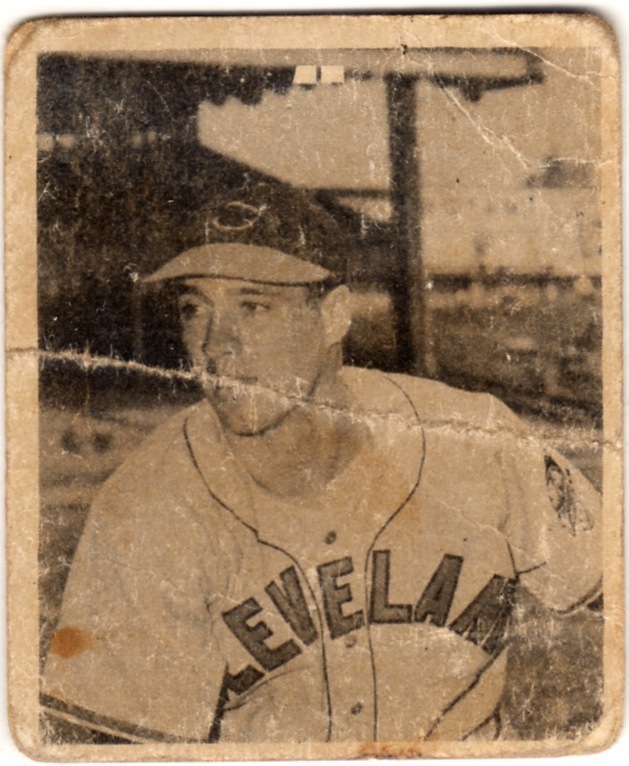 Jack might've seen those very cards, hoping to reach the majors and go head-to-head against maestros like Bob Feller. 1948 Bowmans don't impress the eye compared to classics like 1933 Goudey (#5 Babe Herman) a decade before or 1956 Topps (#5 Ted Williams) eight years after, but broke new ground as the first major post-WWII baseball set, and thus the beginning of its Golden Era. 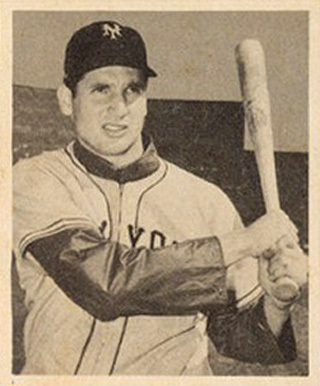 As the first such set, it's loaded with significant rookie cards (set checklist), including Yogi Berra, Stan Musial, Ralph Kiner, and Warren Spahn. Few of its photos look like much, but at least #47 Bobby Thomson caught a nice swing (and NYG jersey-jacket) by the Flyin' Scot. 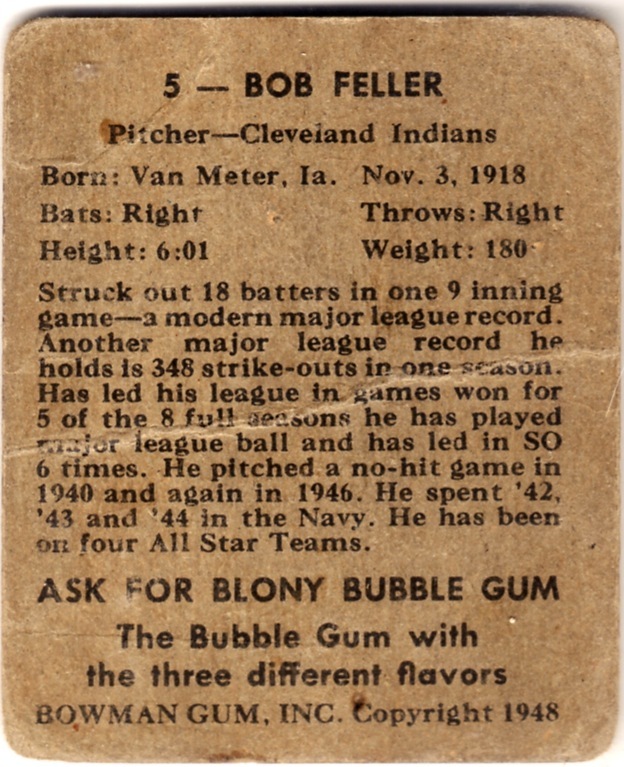 Value: Bob Feller's a big name, so commands $20 or more even in low grade. Non-star beaters cost a few dollars, sometimes more for the short prints. 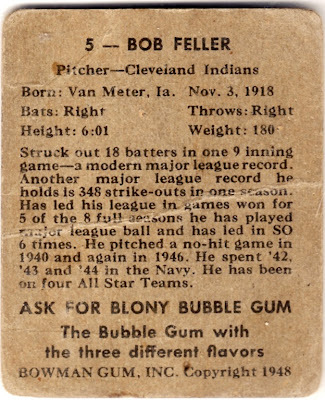 Fakes / reprints: I assume fakes exist for 1948's big stars and there are definitely reprints of the whole set, thanks to Topps Heritage. Shoot an email to me when you get a chance. I have a question for you.